What a bummer about the snail and bee allergies! I'm sorry you had to go through all of that to find them out. Thanks for sharing, especially about the related allergies. What are some of your favorite products without? I am in love with the Skin Ceramics Donkey Milk Yogurt Cream right now. And the Goodal Waterest Lasting Water Oil. They've been amazing! Can't handle snail or beeswax. Or some forms of coconut. So far, propolis seems okay, though! Hi there! 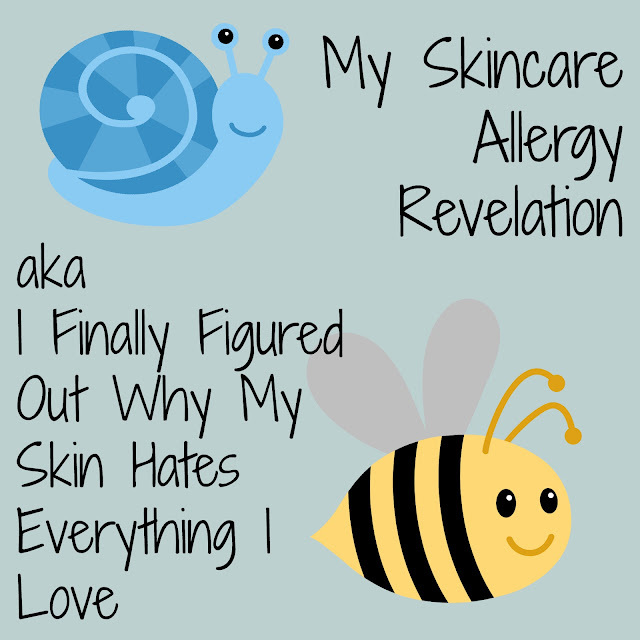 I suffered from big cystic bumps after using Benton Essence, It was my first time to use snail product so I am concluding I am allergic to any snail or bee venom. Please tell me how did you treat your allergies? I took some Benedryl and that was thankfully enough for me. The reaction was able to calm down enough on it's own. Hi! Found your blog post through a thread in r/AsianBeauty. I recently included the COSRX Advanced Snail 96 Mucin Essence and later on woke up with flaky, itchy, semi-swollen eyelids. At first I didn't think it was the essence since I've been using the Mizon Snail Eye Cream for the last year and my skin never reacted. So when you wrote about snails being shellfish, it made a lot of sense why it could definitely be an allergic reaction to the essence since I'm quite allergic to shellfish! I'm just so sad since I've heard about the great benefits snail mucin has on skin.